Thangarasu Natarajan is an Indian cricketer born on 27 May, 1991 in Salem, Tamil Nadu. He plays as a left arm fast-medium bowler. Natarajan made his first-class debut for Tamil Nadu in the Ranji Trophy on the 5th of January, 2015. In a match that was ultimately drawn, he made a great debut by taking 3 wickets in the first innings itself. Despite showing good performances in the domestic leagues, Natarajan is yet to make his debut for the national side. Natarajan, in 16 first class innings has taken 27 wickets with an economy of 3.34. This has prompted his selection in the T20 side too. 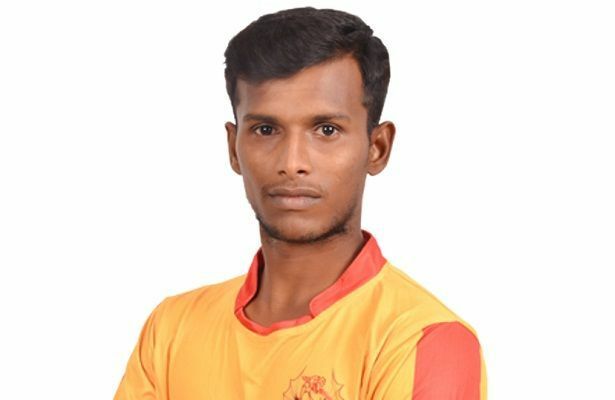 With a low average and economy, and the guaranteed chance of taking wickets, Natarajan has become a favorite of the selectors of the Tamil Nadu Ranji Trophy side. Many anticipate him to make his international debut soon, since his performances have been turning the heads of Indian selectors too. Natarajan hasn't been as proficient and successful in T20 cricket. Out of the 11 domestic T20 matches played by him he has taken only 6 wickets. Moreover, he has been very expensive with an economy rate of 8.62. Natarajan started his Indian Premier League career in 2017 by getting signed by the Kings XI Punjab for a fee of 3 crore. His performance in the IPL has been disappointing with two wickets in 6 matches with an economy of more than 9. Despite this, in the player auction of 2018, he was signed by the Sunrisers Hyderabad, where he will be continuing his career this year.